There is plenty to keep you busy in Melbourne, but the territory of Victoria is such a stunning spot in Australia, it would a shame to miss out on some of that natural beauty during your time in the region. I tried to take as many day trips as possible when I was living in the city and I was amazed at the versatility I found outside of Melbourne. From colorful beach views, to lush green forests, to small seaside towns, and even a scenic wine country – Victoria has it all. 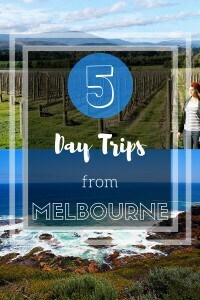 These are my picks for some of the best day trips and ideas outside of Melbourne. Which would you choose? 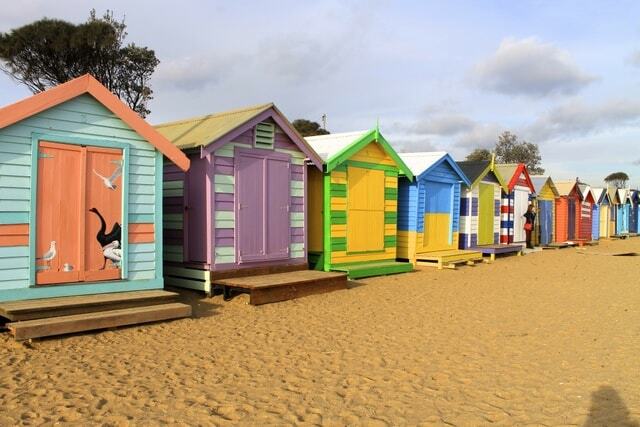 The bathing boxes at Brighton Beach are a popular attraction just a short 20 minute train ride away from Melbourne. Built in the Victorian era in the 19th century, there are 82 vibrant colored boxes in total that line the beach and intrigue people from all over the world. There are individual owners for most of these boxes, and technically you have to be a resident of Brighton in order to buy one. When one does go on sale, they’re snapped up almost immediately they’re such a hot commodity. You probably won’t see the inside of one of these unless you have about $200,000 lying around and you’re a resident, but the exteriors are just as fun to look at. My personal favorite included a boxing kangaroo. You guys – Fern Gully does exist!! Okay, maybe not really but there is a Ferntree Gully just outside of Melbourne right near the famous Dandenong Ranges National Park. It is definitely a fern heavy place and I’m not even ashamed that I went there purely based off the name, because what I found was a beautiful lush green forest to spend an afternoon walking around in. Once you take the hour-long train to Ferntree Gully, you’ll walk a short distance to the 1,000 Steps Kokoda Track Memorial Walk. The walk is a memorial for the Australian soldiers who died in Papua New Guinea fighting the Japanese in WWII. The initial walk up, which does in fact include 1,000 steps, is steep so be prepared for a workout. On your way down, you’ll enjoy a beautiful fern forest that should remind you of something out of Indiana Jones. 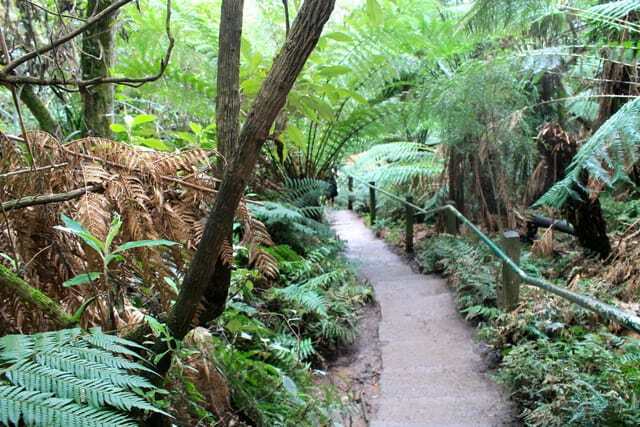 This whole area around the Dandenong Ranges National Park includes some of the best manageable day hikes outside of Melbourne, so it would definitely be worth a visit. 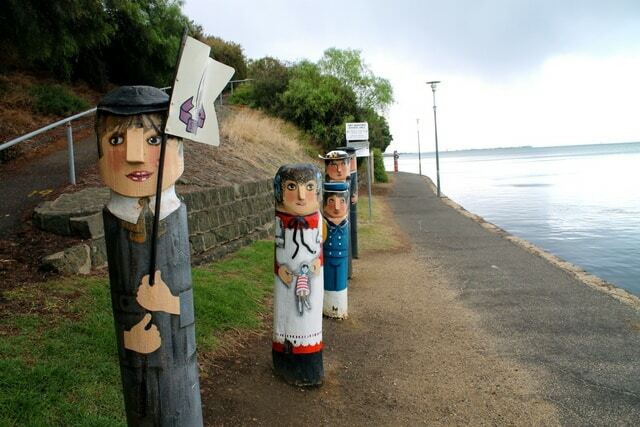 I was so surprised with my visit to Geelong and how much I fell in love with the little seaside city, just over an hour by train outside of Melbourne. Geelong is usually only passed through by travelers who are doing the Great Ocean Road, but I would argue it’s also a really great little town to head to for the day to be immersed in local Australian culture and get out of the big city for a bit. There are trendy local cafes with delicious “smashed avo” toast, a National Wool Museum (since Geelong used to be the wool capital of Australia), vintage markets, a free art gallery, and a beautiful waterfront walk that includes 104 colorful bollards that take you through the history of the small city. Not to mention, Geelong is where I saw one of the prettiest sunsets during my time in Australia. I lucked out and found an inexpensive wine tour that left from Melbourne and went to the Yarra Valley for about $100, which included transportation, a lunch and about 4-5 wine stops with snacks at a few of them. The Yarra Valley is the wine region to go to outside of Melbourne, and potentially the most beautiful spot I’ve seen in Australia. There are the quintessential rolling vineyards, the green hills, colorful trees, and some very tasty wine, specializing in cabernet, pinot noir, shiraz, chardonnay, and sauvignon blanc. Since it’s such a diverse region with a variety of climates, they can produce a lot of high quality wines in different styles, much more so than other wine regions. 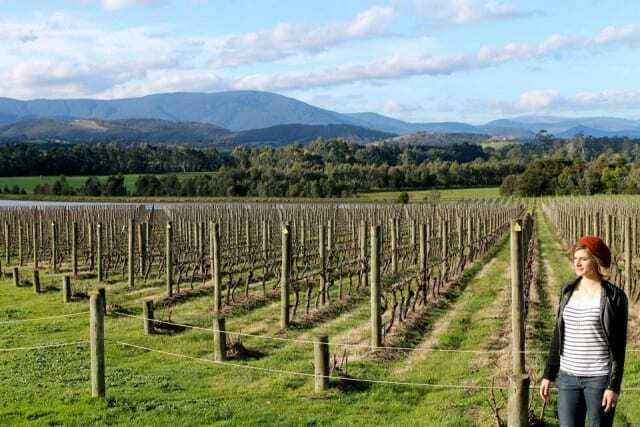 Even if you’re not a wine drinker, the Yarra Valley is a must-see for anyone who loves gorgeous expansive views. It’s truly a beautiful place just outside the city. The only one on this list that I haven’t been to myself but heard great things about is the Mornington Peninsula, about an hour and a half outside the city. This is an area that is also known for its wines, but I was more interested in checking out the craft beer there – specifically the Mornington Peninsula Brewery, one of my favorites while I was living in Melbourne. 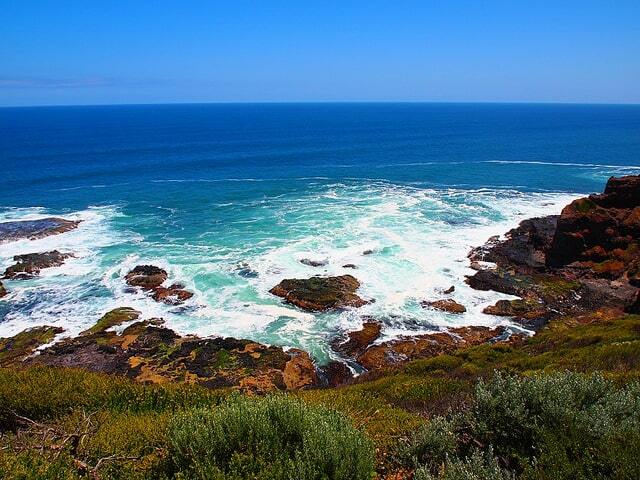 Other than the alcoholic drinks, the Mornington Peninsula has a lot to offer in terms of natural beauty and things to do. To name a couple, there are the Red Hill markets and also the popular Peninsula Hot Springs in Fingal, which include thermal mineral pools, hilltop pools, cave pools, and even Turkish baths. Are you getting excited for your own Melbourne day trip yet? What are your favorite experiences to have outside the city?